Now for these faces to work in your chat, you will have to copy the whole code including the brackets. 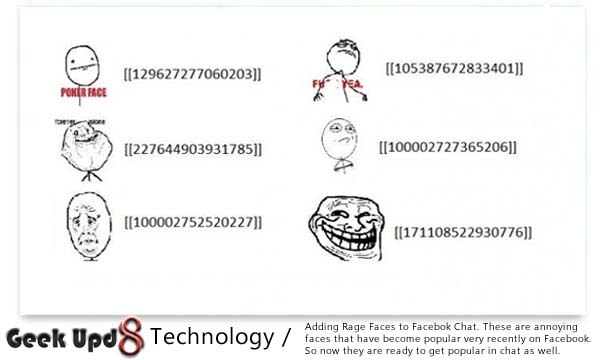 So, if you paste [[FUUUOFFICIAL]]in your facebook, Rage Face would appear on your friends message box. So, enjoy the Raging.